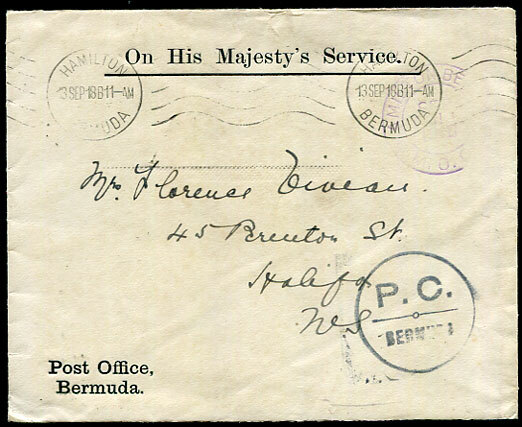 1918 OHMS stampless cover with colourless embossed oval d/ring BERMUDA/(crown)/POST OFFICE printed flap pmk'd light purple HAMILTON BERMUDA M.O.O. 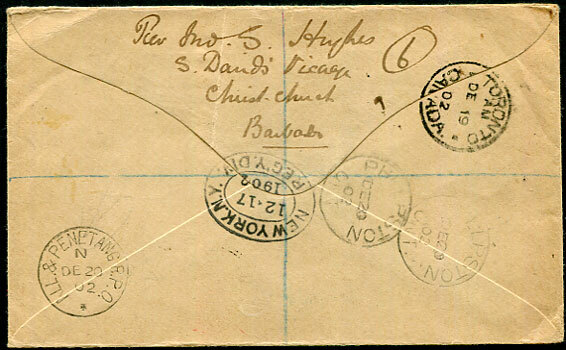 d/ring dated SEP 11 1918 with Hamilton 13 SEP 18 wavy lines machine cancel to Halifax, Nova Scotia, black circled "P.C./BERMUDA" censor handstamp. 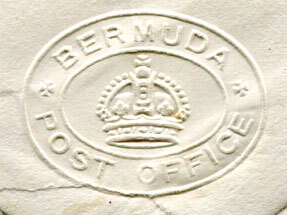 1902 reg. 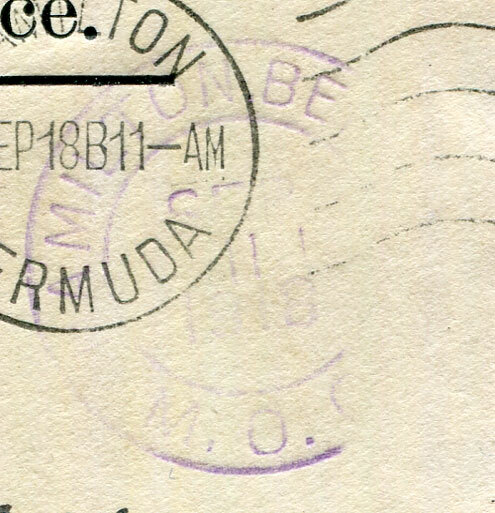 cover with 1d Seal strip of three pmk'd M.O. 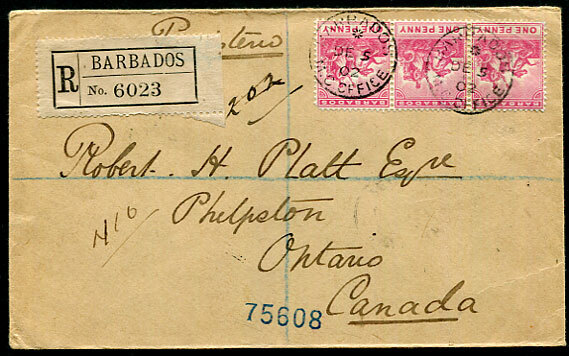 OFFICE */DE 5 02 to Phelpston, Ontario, Canada, reverse with fine ALL & PENETANG R.P.O. N/DE 20 02 cds.